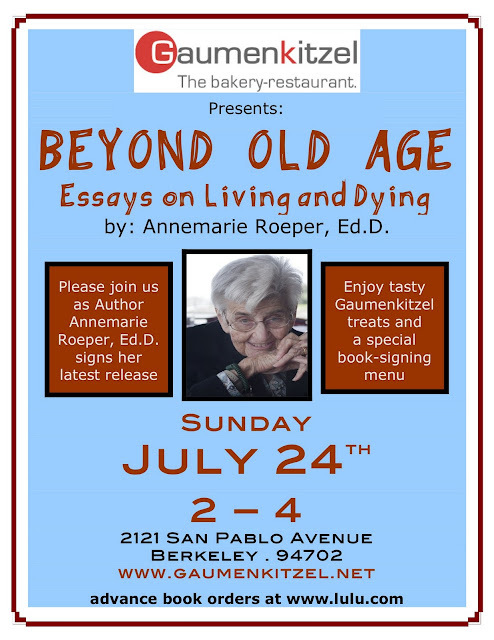 hosts Dr. Annemarie Roeper as she signs her children's books and BEYOND OLD AGE, her latest release from Azalea Art Press. is an educational consultant with more than 60 years of specializing in the needs of gifted and creative children and adults. In 1941, she and her husband, George, founded the Roeper School for Gifted Children in Michigan, one of the nation’s oldest and progressive private schools for gifted young people, still in existence today. At age 92, Annemarie continues to educate and inspire people of all ages. with seating from 6 am - 6:30 pm.